The Chicago Rabbinical Council is proud to announce that as of March 8, 2019 all breads baked by Alpha Baking Company are now Pas Yisroel. This includes all their retail products under the brand names: Natural Ovens, S. Rosen, Marry Ann, Kreamo, Golden Hearth, and Castle labels. The cRc would like to thank Rabbi Simcha Smolensky and Rabbi Dovid Jenkins of the OU for their help in facilitating this tremendous accomplishment. 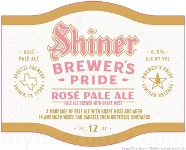 A a new limited edition product from Spoetzl Brewery, is brewed with grape must and is not Kosher. All other Shiner beers remain K-COR certified. The MK wishes to inform the public that the MIA FOODS are no longer under MK certification. All products without the MK should be considered NOT kosher. 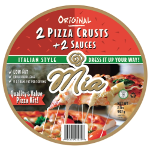 Please be advised that due to a change in the production process MIA FOODS is currently not certified as kosher. Updates will be sent out when available. Henry Avocado Corporation is voluntarily recalling California-grown whole avocados sold in bulk at retail stores because they have the potential to be contaminated with Listeria monocytogenes. Henry Avocado is issuing this voluntary recall out of an abundance of caution due to positive test results on environmental samples taken during a routine government inspection at its California packing facility. Monster Energy Canada Ltd. is recalling Monster Energy brand Caffé Monster Salted Caramel Energy Drink from the marketplace due to the potential presence of glass pieces. Consumers should not consume the recalled product described below. Please be advised that local wine outlets are selling wines produced in Israel of 2015 vintage. 2015 was a Shemittah year and anyone that has already purchased it must treat the wine with the specific laws of kedushas sheviis. These wines will have the words “otzar beis din” (in Hebrew) on the label. Please be advised that local wine outlets are selling wines produced in Israel of 2015 vintage. 2015 was a Shemittah year. 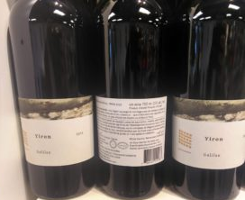 In particular, many 2015 wines are being sold with a note that they are of “OTZAR BEIS DIN" produce. The website www.yeahthatskosher.com under the headline Vegan Fast Food Chain ‘EARTH BURGER’ Goes Kosher in San Antonio, TX states that “Earth Burger is located at 2501 Nacogdoches Road in San Antonio, Texas and is kosher certified by the CRC”. Please note that while the cRc certifies the Earth Burger at the Mall of America in MN it does not certify the San Antonio location. All beer manufactured by Boulevard Brewery should be assumed DE (produced on dairy equipment) even when these letters are not printed alongside the KCK.